Play Unplugged has up another video interview. This one with Bryan Pope of Mage Wars. Ten-hut gamers! Sgt. Murder is back for for Gen Con Indy 2012 madness! 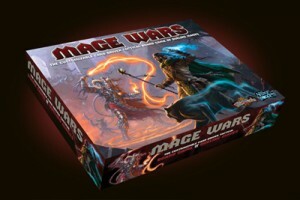 This interview features Bryan Pope, the creator of Mage Wars. After two years of demoing their game at conventions, playtesting, and getting fan feedback, Mage Wars is finally being released at this very show! Bryan Pope briefly discusses the trials and tribulations of bringing Mage Wars to market, their release at Gen Con, the game’s future releases, and organized play.